2011 is an important year for Abnormal Tees. It is our 30 year anniversary! ABNRML started in Los Angeles in 1981 and has been printing for the last 30 years. Some of our printers have been around since the beginning. To commemorate this important achievement, we commissioned an art print from Joe Castro of Red Attic Studios. 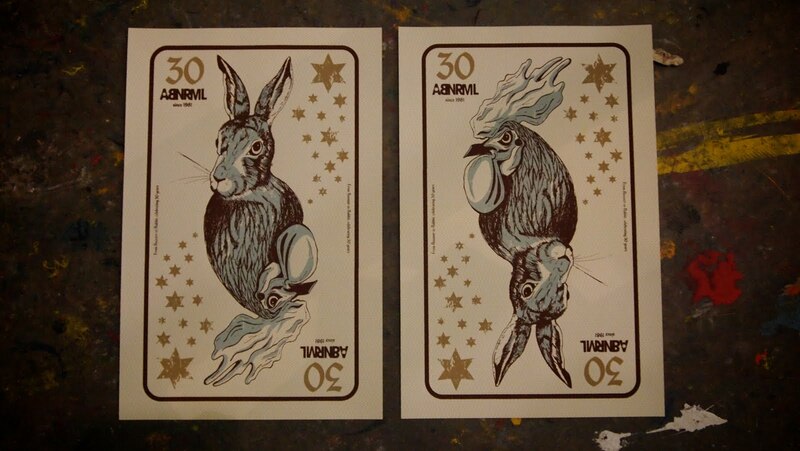 Joe came up with a 'from rooster to rabbit' theme from the Chinese zodiac symbols. There is also 30 ABNRML stars on each print. The print is also reversible so you can sport the rooster or the rabbit, depending on whether you are feeling like the 80s or more modern! This 3-color print was screened on extremely special patterned French Paper with some metallic gold and measures 12.5"x19". It is almost too stinking cute to wear! Just slap the ABNRML logo on a t-shirt with a Santa hat and a Christmas tree and our plans for a simple and kid friendly holiday shirt came to life! This 3-color sport grey tee was designed by ABNRML and given to family and friends on Christmas day. It will also be available in our web store at ABNRML.com. 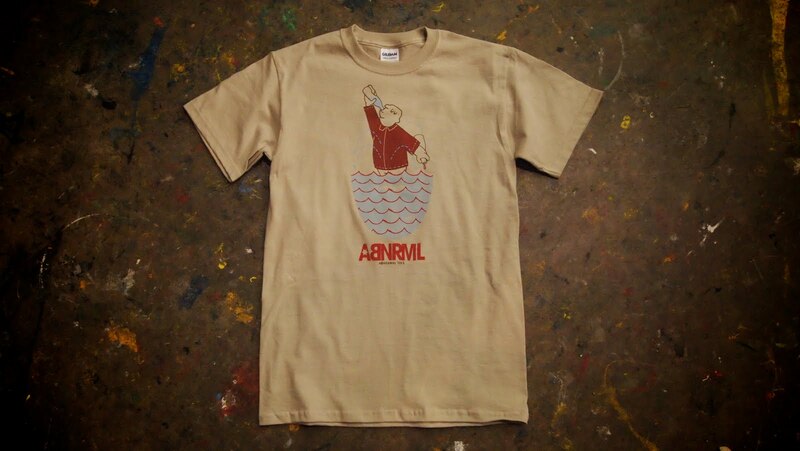 ABNRML's 2010 graphic t-shirt was designed by T-Bone & Aljax. It is a humorous and whimsical take on how Abnormal mixes inks! This special graphic tee print is a 3-color sand t-shirts. It was given out to various friends and family on Christmas and will be for sale in our web store soon. Special thanks to T-Bone & Aljax for coming up with this design for us! Ring them bells! 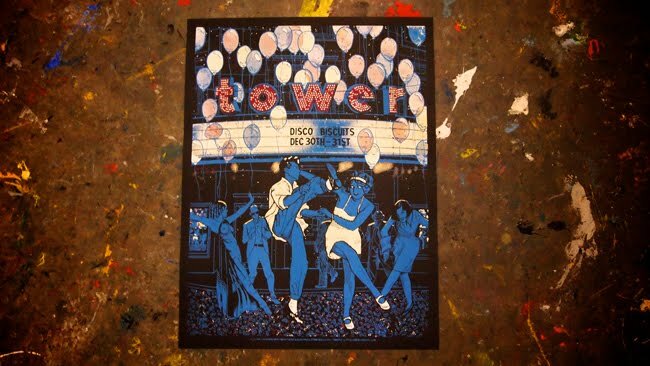 Ring in the new year with The Disco Biscuits at The Tower in Philadelphia, PA and this spectacular new ABNRML print. This brand new poster is for The Disco Biscuits two night stand at The Tower in Upper Darby. This poster was printed and produced by ABNRML.com and designed by none other than T-Bone & Aljax. Matt, one of the owners here at Abnormal, has been a Disco Biscuits forever, so it was a real thrill for us to create the official Disco Biscuits New Years Eve poster. 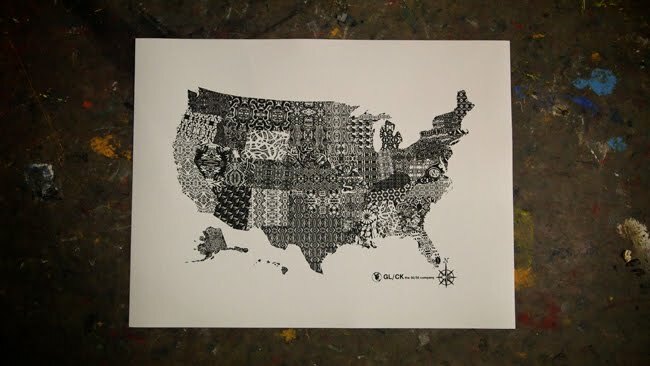 It is a 4-color print screened on black French Paper 19"X25" cover stock. 100 of these special prints will be available at the show. A limited number will be available through us on 1/1/11. Special thanks to our good friend Tom Hamilton for hooking ABNRML up with the band. Purchase the print after the NYE show here! Join the ABNRML.com Mailing List! 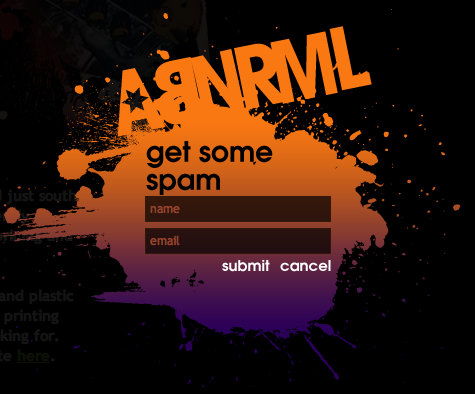 Swing on by ABNRML.com and sign up for our mailing list! 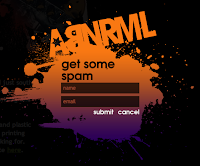 Try to get some ABNRML swag and spam! The link is in the upper right of the website. 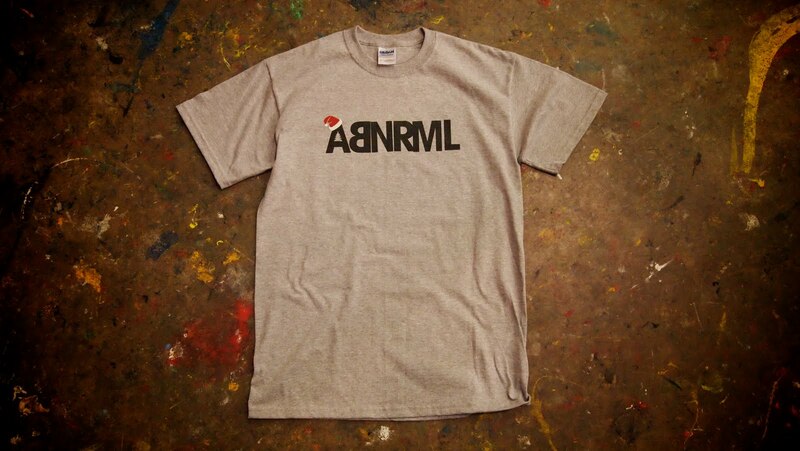 The 100th person will receive a free ABNRML print & tee in 2011. Alternatively, you can email us at info(at)abnrml.com. Our first piece of spam will be sent until the new year, so don't expect us to clog your inbox or anything. The very best way to get updates from random websites that are cool, but not cool enough to read about every week. Tasteful, simple and few and between updates about ABNRML, new products and projects and anything else we feel might make you stay on our mailing list. Go get some spam! 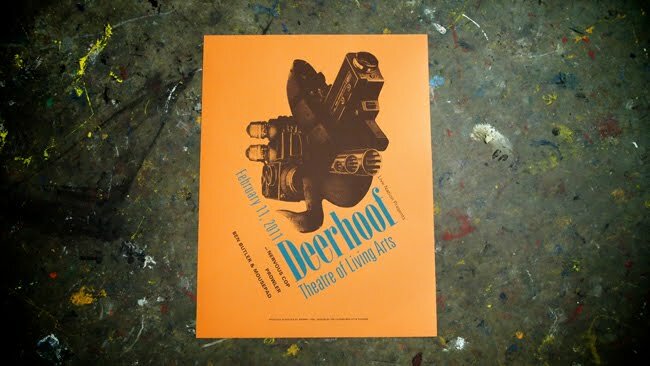 We just had the pleasure of printing a new poster for Deerhoof! The poster is a 19"X25" screen print on orange French Paper. The collage design was created for ABNRML by Joe Castro of Red Attic Studios. The band had asked for a Philadelphia based artist so we were happy to have Joe on board. This poster is our first print for 2011! It is for Deerhoof's show on Febuary 11, 2011 at the Theatre of the Living Arts in Philadelphia, PA. This is a very limited edition print for the band and Live Nation. An extremely limited number of these were screened. Printed and produced by ABNRML.com. We are very pleased to display the very first print we have done for GL/CK The 50/50 Company. It looks as if this neat 1-color print is the beginning of several art prints from 50/50. This is a 1-color print on 19'X25" French Paper white cover stock and will be available from 50/50 via the link below sometime in the future. We thought the patterns really turned out neat for this project. We look forward to working with 50/50 more in the future. After all the success of our previous Ween prints, ABNRML was asked to help out with a print for a Gene Ween solo performance. ABNRML cohorts T-Bone & Aljax stepped up to the plate (literally), pointed towards the outfield and smacked a home run poster design! Printed and produced by ABNRML.com and designed by the legendary T-Bone & Aljax, this limited edition 4-color print was screened with love and devotion on 19"X25" French Paper white speckletone card stock. You can almost taste the goodness! 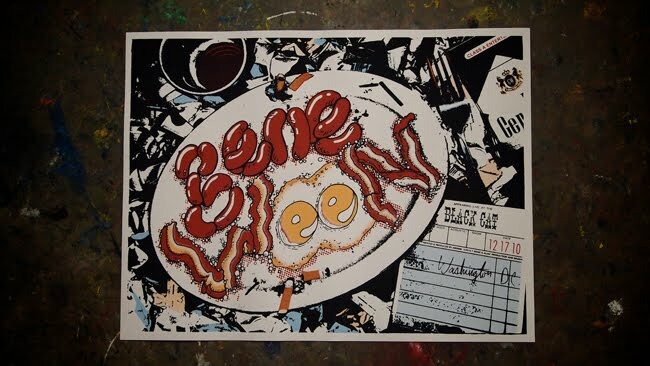 This print will be for sale by Gene Ween at the show on December 17th 2010 at The Black Cat in Washington, DC and also available through ABNRML.com the night after the show! Poster can be purchased here! ABNRML.com 2.0 Launches! We are very pleased to announce the launch of ABNRML's brand spanking new web store! With help of our good friends over at Neo-Pangea, ABNRML.com received some fantastic new upgrades. It is going to be our 30th year in business, and we aim to have a great 2011! Spin on over to see the upgrades and sign up for our mailing list to receive product & poster news. You can also connect with us on Twitter and friend or share us on Facebook and countless other social sites. Spend a few minutes browsing the limited edition prints we've screened over the years that are finally for sale and pick up a nice Ween, She & Him, Conan O'Brien, Frightened Rabbit or Hot Chip print for Christmas! Perhaps you missed grabbing a lot t-shirt on tour with Phish? We have them here. We have a lot of exciting projects coming up so stay tuned. Can you imagine ABNRML.com Prints for Lotus? Disco Biscuits? Deerhoof? We are just about to print a brand new one for Gene Ween so check back soon. Check out the new ABNRML.com here!